Asbestos cement is a composite material consisting of Portland cement reinforced with asbestos fibers. 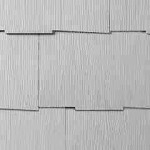 When manufacturers figured out ways to produce siding made using asbestos cement, it became very popular for a number of years before being banned in the U.S. in the 1970s. InterNACHI inspectors are likely to come across this form of exterior cladding during inspections. 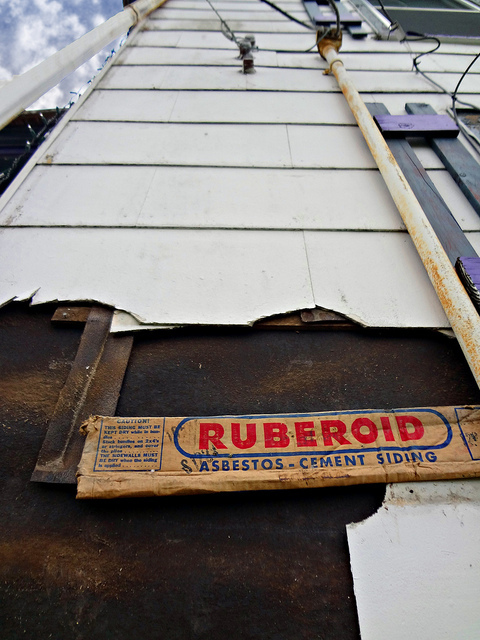 Inspectors and homeowners alike can benefit from knowing more about how the known health risks of asbestos apply to asbestos cement siding, too, as well as some of the common problems and issues associated with the material’s damage and deterioration. Asbestos cement first came into use as an exterior cladding after 1907, when Austrian engineer Ludwid Hatschek came up with a way to shape the material into sheets, allowing it to be manufactured as siding and shingles. By the 1920s, the National Board of Fire Underwriters recommended that asbestos cement replace wood as siding and roofing material because of its superior fire-resistant properties. This recommendation from a nationally known insurance board contributed to a boost in sales and, by the 1940s, hundreds of thousands of homes in the U.S. had been constructed using asbestos cement siding. During the late 1960s and early ‘70s, however, the news media began to report on the health hazards associated with asbestos. As reports increased, concern grew, so the federal government took action and, in 1973, the EPA banned the use of asbestos in the manufacture of building products. Asbestos cement siding is highly fire-resistant and will not burn or melt the way vinyl and wood siding will. It has been manufactured with textures intended to simulate the look of other cladding materials, such as wood grain. It is fairly easy to clean and maintain. Unlike more porous siding materials, such as wood clapboard, asbestos cement siding will not quickly soak up paint, which allows it to be painted more easily. Asbestos cement siding is very brittle and can be easily chipped, cracked or broken. The use of a pressure washer for maintenance can crack the siding and lead to moisture intrusion, if the pressure setting is high enough. Asbestos cement can be dangerous if pulverized by sawing, sanding, breaking, etc. 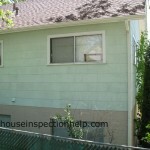 It is difficult to find replacement siding for repairs. This product cannot be refurbished, unlike other forms of siding. Wood clapboard, for example, can be sanded and re-painted, and cedar shake siding can be sand-blasted and re-stained. Either of these methods can restore wood close to its original state. But this is not possible with asbestos cement siding. It is no longer considered aesthetically desirable. Damage and deterioration can lead to structural and health issues, so proper maintenance of asbestos cement building materials is a primary concern. Keeping the siding clean and performing any minor repairs as soon as they become necessary are both important. Asbestos cement siding is fairly brittle and has little resistance to cracking, chipping and damage from impact, which can cause asbestos particles to become airborne. 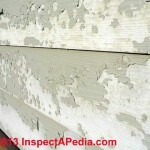 Damage to the siding can also lead to other damage related to moisture intrusion. Damaged areas that cannot be fixed can be replaced with non-asbestos fiber cement by a professional. Specific fiber cement materials have been manufactured for repairs that are intended to mimic the look of asbestos cement siding. Landscaping features, such as a row of shrubs, can be incorporated around the home to help protect the siding from impact damage. Chipping and cracking often occur with this brittle material. Fasteners used to hold the siding in place may deteriorate at a faster rate than the siding. Discoloration and staining may occur from corrosion or runoff from an adjacent material. The discoloration may be normal, but it could also indicate a chemical reaction that has decreased the durability of the material. Like many other cement products, efflorescence may appear on asbestos cement siding. This crystalline growth can indicate that water is passing through the material, promoting deterioration of the cement. Biological growth, such as moss and algae, can occur if conditions are favorable. This growth may stimulate surface deterioration and staining. Because it was such a popular cladding material for many years, inspectors are likely to encounter asbestos cement siding when inspecting exteriors. Knowing some of the health risks associated with this material can be useful when answering clients’ questions about asbestos, although any specific concerns should be deferred to the appropriate healthcare professional. Homeowners will want to hire an InterNACHI inspector for the periodic inspection of this type of cladding as part of their annual or regular home maintenance. 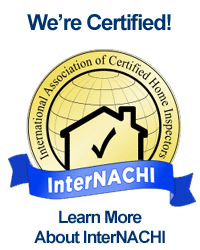 Visit: Champagne Home Inspections HERE to book your inspection today .